PRODUCT DETAILS Create the perfect casual look with these black slip-on shoes from the house of Bata. With fabric upper these slip-ons are gentle and comfortable. Its PU sole is there to offer you a sturdy grip and make these perfect for everyday use. We are amongst the most reputed names in the industry, offering Bata Men Shoes. ata presents this casual yet sophisticated low-top sneaker to round out your weekend style. 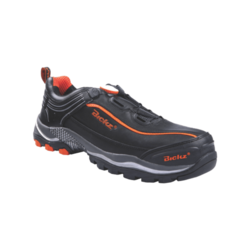 These casual shoes are crafted from a soft synthetic upper and rubber sole for a comfort fit.